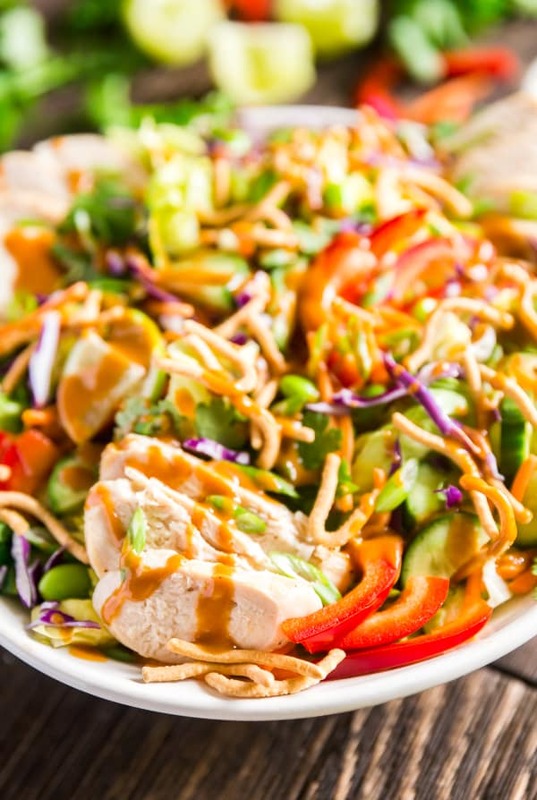 This Rainbow Asian Chicken Salad recipe is dangerously addictive. 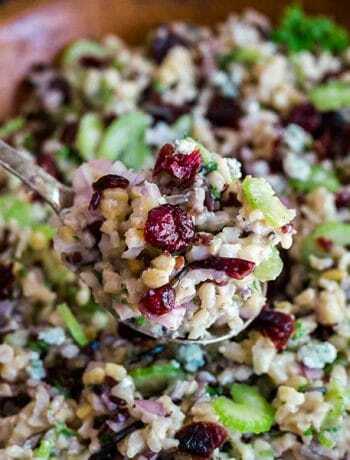 It’s perfect for a crowd and is also great to make as a healthy meal prep for the week! Sometimes great recipes just happen. No planning. No inspiration. One moment you’re trying to figure out what you’re going to eat and BAM! You’re hit with inspiration. And that pretty much sums up the story of how this Asian salad recipe was created. A few weeks back, I had made an Asian-inspired meal prep one day and brought it over to my parents’ house to enjoy lunch with my mom. Unfortunately, I had also forgotten the dressing that went with it. 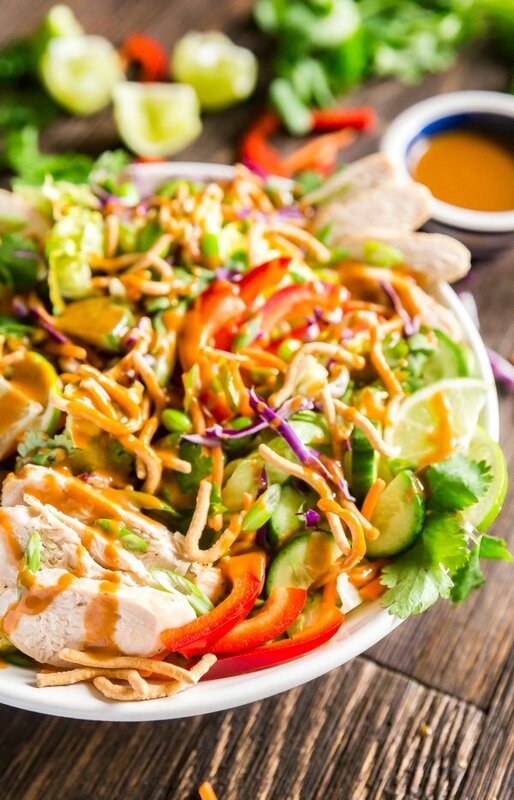 So I went into her fridge and pantry and created a sort of Thai peanut dressing right then and there that was so completely delicious that both of us could not stop eating our bowls. 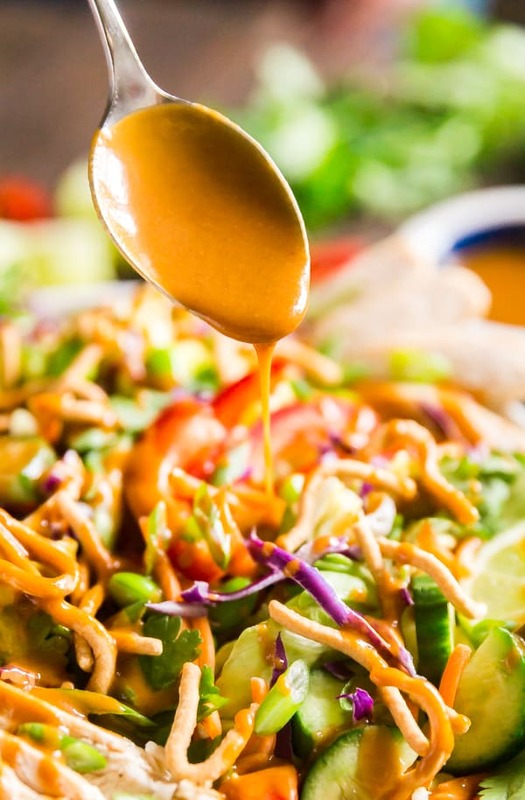 While we were eating our lunch that day, we both agreed that this peanut dressing would taste even more fantastic over some sort of Asian salad. It would be a healthy and delicious meal on it’s own or an excellent side dish-to-pass to enjoy with friends and family. So naturally I had to go home and recreate this salad, and boy, am I glad I did. Can I make it without chicken? Yes! There are so many veggies in here, it would totally work! 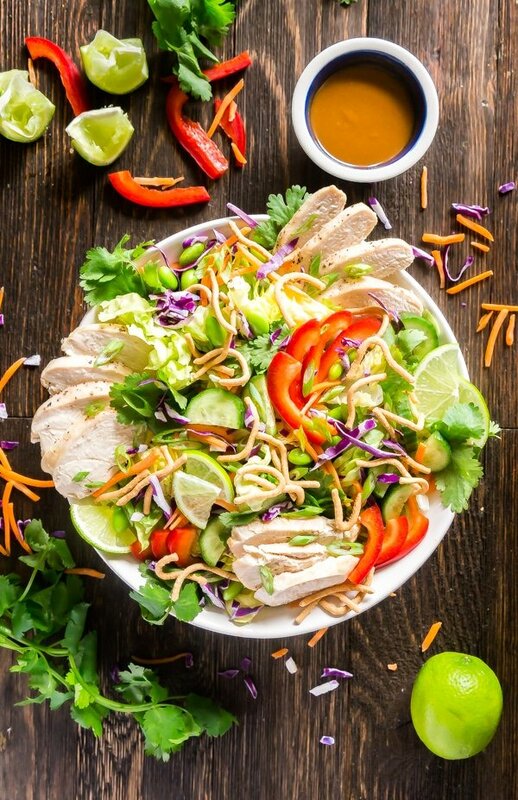 Can I make the dressing in advance? Yes! 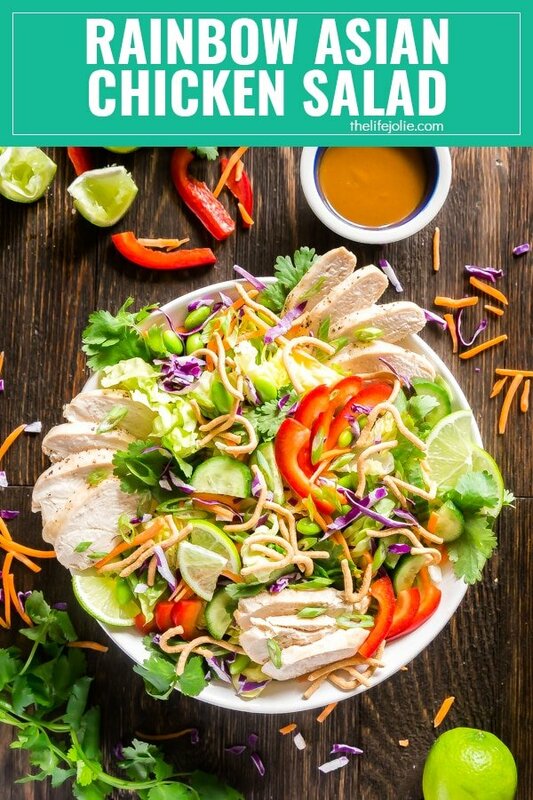 I’d encourage you to assemble the salad and make the dressing in advance, but don’t actually dress the salad until just before serving to avoid everything getting soggy. Can I make this as meal prep? Sure! Make the full recipe and divide it between your containers. Once again, hold off on dressing them until just before serving. How much salad does this make? 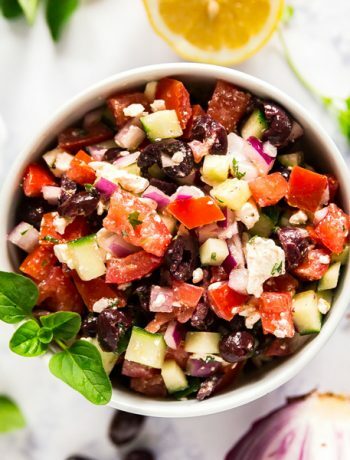 This recipe makes a good size salad that’s perfect to bring to a party as a dish to pass. You can easily half the dressing and just make a salad small enough for one or two people as well. I left the amounts of the salad fixings open for this very reason! 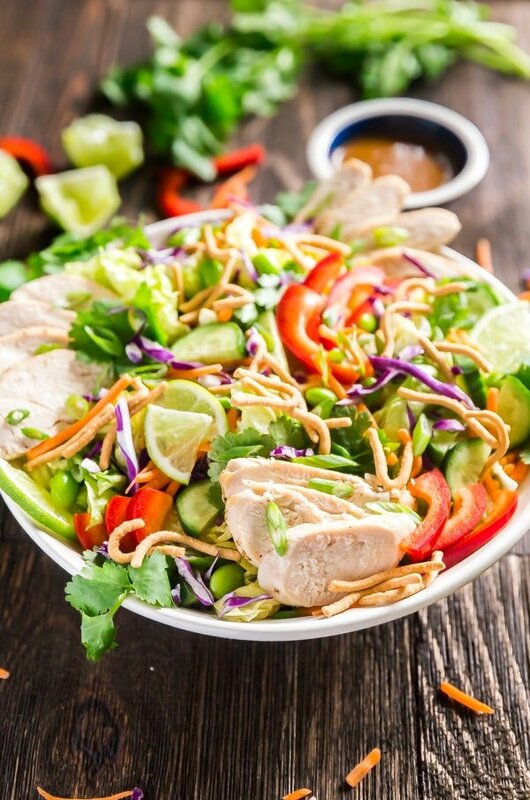 This Rainbow Asian Chicken Salad recipe is dangerously addictive. It's perfect for a crowd and also great to make as a healthy meal prep for the week! Chop all salad ingredients and combine in a large bowl. In a separate bowl, whisk together all dressing ingredients. Taste and adjust seasonings to your taste if necessary. Refrigerate until serving. When ready to serve, pour the dressing on your salad and toss to combine. Serve immediately. 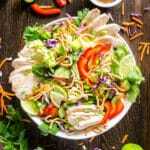 Looking for some other delicious salad recipes? April 16, 2018 at 4:46 pm Looks great, thanks for the idea! We avoid soy, so no edamame or soy sauce. Use coconut aminos instead of the soy sauce -- you shouldn't be able to tell the difference given all the other yummy flavors happening. 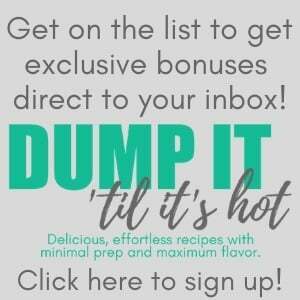 April 21, 2018 at 3:00 pm Thanks Lizzie- the coconut aminos is an excellent idea! 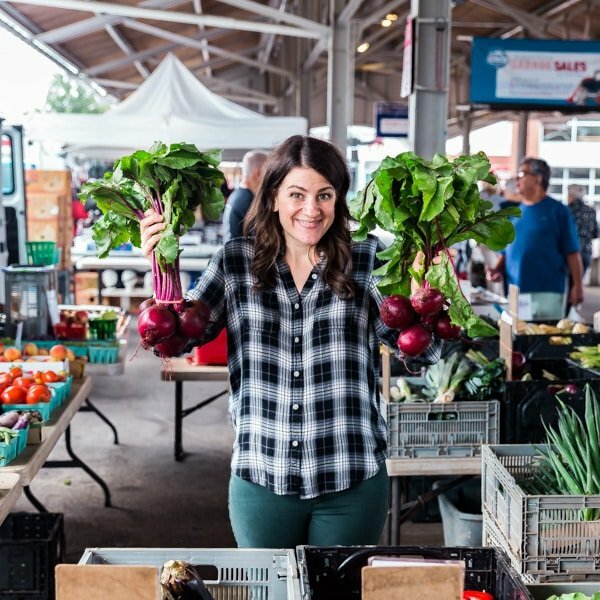 May 10, 2018 at 1:07 pm Do you have quantities for the veggies? 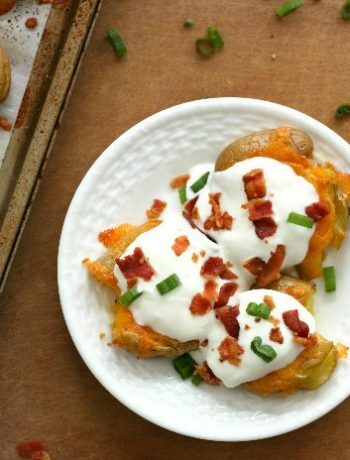 I am waiting to make this recipe for girls camp! 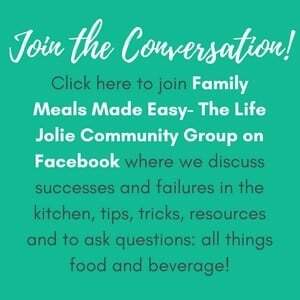 May 11, 2018 at 1:30 am Hi Meri- I left it open so that you could customize it to the size of salad that you want to make (and of course to your taste). How Many girls are you serving? I can try and help you figure out how much you need.